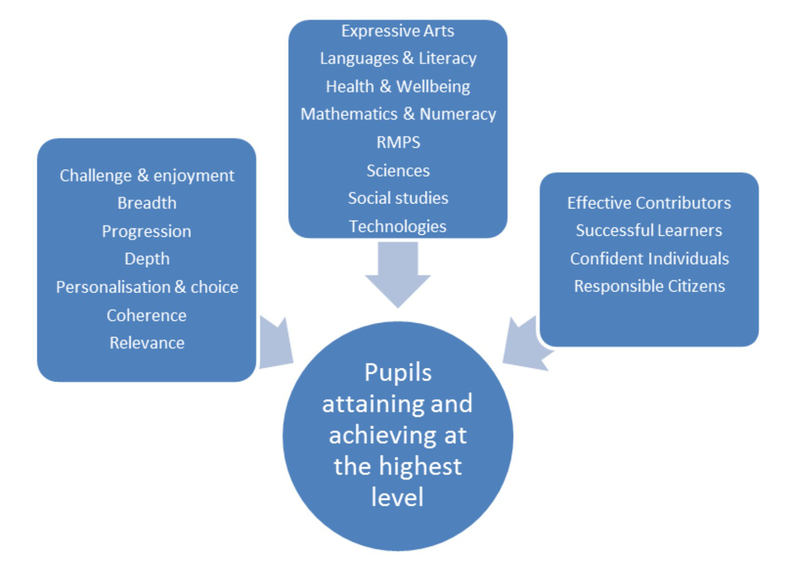 From S1 to S3 all pupils follow a Broad General Education (BGE) to provide the skills and knowledge which form the foundations of lifelong learning. After two years of the BGE it is important that we are providing our pupils with suitably challenging progression routes to ensure success in the Senior Phase (S4-S6). In order to do this, in S3 all pupils will study Maths, English, Modern Languages, PE, PSE and RMPS and will have the opportunity to personalise their curriculum within the remaining curricular areas. In our elective column pupils will be able to select an area of study to further deepen their knowledge, skills and understanding in an additional area. The Senior Phase of Curriculum for Excellence offers pupils the opportunity to plan their learning pathway over three years from S4 to S6. In order to plan effectively we have introduced a column structure to our course choice process. The intention is that the choices will remain, as far as possible, in the same column each year so that pupils can map out their pathway over the three years of the Senior Phase.